Credit: yahooThe word "kosher" is typically associated with food products and adhering to certain practices according to Jewish law and beliefs. Most common are the array of food products that have been given ‘approval’ by recognized Jewish organizations. Other “kosher style” foods may or may not be kosher. And while there are many anecdotes and some scientific evidence about how kosher foods may be better for you or resolve health issues (e.g. the benefits of chicken soup), now there are a growing number of prescription medicines that have been developed specifically with the kosher adherent in mind. For example, a recently developed prescription medicine, Taliglucerase Alfa, used as an enzyme replacement therapy for adults with Type 1 Gaucher disease, received the highest recommendation by one Jewish organization, The Orthodox Union (OU - the world's most recognized and trusted kosher certification body) as being “certified” kosher. Gaucher disease is an inherited lysosomal storage disorder, which can cause severe and debilitating symptoms and affects an estimated 10,000 patients worldwide. It occurs when there is an abnormal gene, causing low levels of a particular enzyme to be produced. This enzyme is responsible for breaking down fatty substances, or lipids, from cells. A lack of this enzyme will cause the cells to become enlarged and commonly affect the spleen, liver and bone marrow. 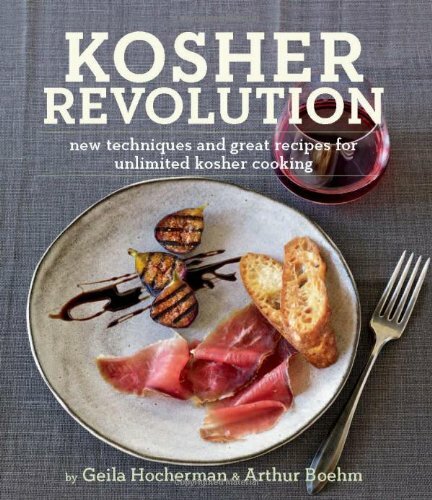 Kosher refers to food selected and prepared in accordance with Jewish dietary laws as proscribed in the “Torah” (Old Testament). For example, only mammals that both chew their cud and have cloven hooves are considered kosher – hence the exclusion of pork. Fish must have fins and scales to be kosher and birds of prey are excluded from the list of acceptable foods. Although primarily steeped in Jewish custom and law, Muslims, Seventh Day Adventists and vegetarians who are seeking a higher level of cleanliness in their foods often utilize kosher food. Kosher also has a sub-category in that some kosher medicines may not be suitable for the holiday of Passover that requires enhanced kosher specifications. 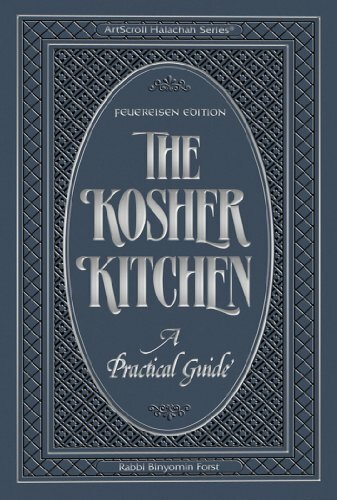 It is estimated that 15 to 20 million Jews keep kosher but vegetarians, people who are lactose intolerant and others with dietary restrictions also utilize kosher products. Medicinal products that are kosher often have additional requirements or must pass muster in different ways. For example, not only must the actual medicinal ingredients be kosher and kosher-approved, often the capsules they come in must be as well. For example, a “gel cap” may not be allowed if it uses animal-based gelatin. An online search will reveal additional specifications and requirements. While the list of prescription medicines that are certified kosher remain small, the list is growing. For example, all eight varieties of the children’s cough and cold syrup Triaminic received the Orthodox Union’s approval several years ago, as did Maalox. An interesting aspect of the laws governing kosher foods (or kashrut, as it is often called) is that often times medicines are not required to be kosher at all. Jewish law maintains that in ‘life saving” situations kosher and religious laws can be put aside. Even the Sabbath may be broken if a sick person has to call a doctor or drive to a hospital in an emergency. Likewise for doctors and caregivers. Similarly, Jews who are ill are exempt from fasting on the Jewish high holiday of Yom Kippur, the Day of Atonement. However, medicines and supplements like vitamins are treated more like nourishment or food. Intended to ease discomfort or enhance health - not cure an illness - they are not entitled to the same exemptions as prescription drugs. That is why many Jews rely on organizations such as the OU to guide them to products that are certified kosher. Credit: Orthodox UnionIn many products – medicines or food alike – a certification from an The Orthodox Union will mean a label designation of a “U” inside of a circle “O” meaning it has been certified. Other organizations that certify products may have their own label designation – a “K” for example. While the process is exacting, careful reading of product ingredients and consulting with experts such as the OU is often necessary. That’s because products contain many ingredients, some of which aren’t even listed on the product label. In the Triaminic case, for example – and as reported by the New York Times – it took two years to carefully vet each of Triaminic’s 50 or so raw materials for any trace of non-kosher derivatives. So, why do manufacturers and brands even bother? Because, according to experts, getting a kosher certification makes business sense and is seen as a way for a company to gain market share for a minimal investment. In fact, it is estimated, the sale of kosher certified products exceed $8 billion a year in the U.S. alone. Of course, when it comes to medicines there are also studies that foods often called “Jewish” or “Kosher style” can also have medicinal benefits. For example, chicken soup, that good for almost everything that ails you delicacy, has been scientifically shown to be able to lower blood pressure. A study by Japanese researchers at Hiroshima University and published in the Journal of American Chemical Society found that chicken breasts have collagen proteins (the main protein in the connective tissue of humans and animals) that are similar to ACE inhibitors, or Angiotensin-Converting Enzymes, one of the most common medications used to treat high blood pressure or hypertension. Hypertension is a medical condition wherein the blood pressure is chronically elevated. Although there is no known specific medical cause for hypertension, there may be several factors that can be found to cause it including being overweight, salt intake, genetics, and age. Normal blood pressure (if there is a 'normal' since that term can vary by age and condition) is a systolic pressure less than 120 and diastolic pressure less than 80. But, as they pursued their study the scientists also discovered that chicken breasts alone don't have enough of the collagen proteins to have any significant effect on high blood pressure. Undaunted, the researchers dropped chicken legs and feet into their test tubes and came up with a concoction that boosted the collagen levels. They fed their chicken soup to rats to see what would happen. The test rats had a large and prolonged decrease in their blood pressure. While no one is suggesting that you drop your medications and head for the nearest deli, there is no harm in packing in the chicken soup. Mom will love you for it, and so will your body. As more and more companies seek Kosher certification you can expect many more prescription medications to carry the Kosher version of the Good Housekeeping seal of approval.